Ready Yourselves Youth Ranch is for children, ages 6 through 18, who are dealing with challenges and difficulites. 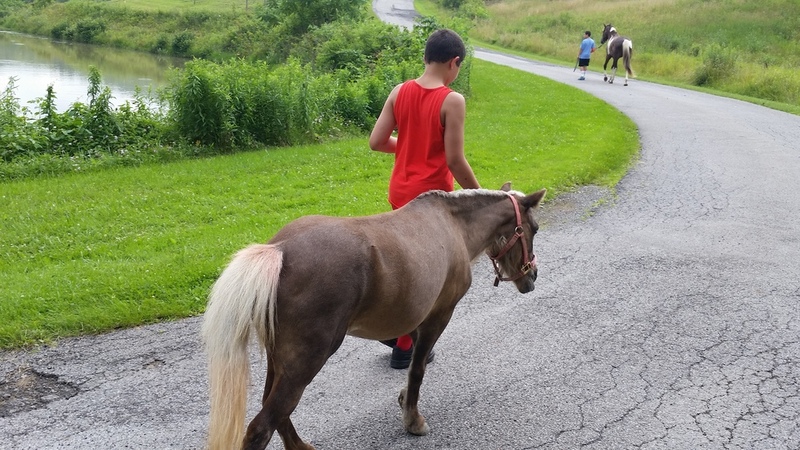 We connect one child, one horse, and one mentor for ninety minutes of interactive experience, free of charge. Learning to care for and ride rescue horses, many who have come from environments of abuse or neglect, increases a child's trust, faith and love. The overall aim of our session program is to love and encourage children which in turn will foster hope and joy. This process takes on as many unique forms as there are kids. However, there are some choice components that are generally included in each session. Working with horses: The majority of children who come to RYYR are drawn to the ranch because of the horses. These kids will learn to correctly handle, groom, ride, round pen, and even vet horses during their sessions. Again, each session depends on the needs of the child and of the horse on any given day. Fishing: Some of the children who come to our facility would prefer the challenge of fishing. Each leader will teach the child proper safety and fishing techniques. Crafts: For those who do not wish to spend time riding horses, the ranch has assembled some wonderful craft options for a child and leader to use. Woodwork: Some of our leaders are skilled in carpentry and woodworking. Many kids enjoy time in the shop creating a birdhouse, a treasure box, candy dispenser, wall shelf or a gift for a parent or loved one. Play: Often, the most valuable time in a child’s life is to allow and encourage kids to be kids by playing. Many children choose to spend their entire session wholly engaged in playing games including water games, soccer, and board games. Sessions can include one or many of the above components, or sometimes something entirely unique. Together, the leader and child determine the best course of action for each session time. Session leaders do their best to listen and creatively respond by using the resources of the ranch to support and encourage children in need.We want to make sure the children feel and see God’s love in all their experiences at the ranch through the help of the mentor and horse.